Take a boat tour of the harbor! The city has tons of harbor cruise companies that are great for getting out on the water and exploring the city’s unique landscape. Some of the cruise companies even offer their tours in pirate ships, which is great if you have small children in tow. Go to one of the city’s museums! The city is home to several unique museums such as the American Visionary Art Museum with its eye-catching displays of non-traditional art. Head over to the Walters Art Museum for more traditional art from around the world or take the kids to the Baltimore Museum of Art. You can also tour one of the city’s floating museums! The inner harbor features several historic, restored ships that can be toured. Are you a geek at heart? Then you have to check out Geppi’s Entertainment Museum. It’s chock full of old comic books and toys from your childhood. A little bit of nostalgia, for sure. Take in an Orioles game! Oriole Park at Camden Yards, the stadium where the Orioles play, is credited with the popularity of cozier, more neighborhood-feeling baseball parks. Nestled right downtown, Camden Yards is easily accessible and there isn’t a bad seat in the house. Go on a food tour! Foodies will love the fact Baltimore has food tours available to expose you to the eclectic and cultural blend of cuisines the Charm City has to offer. Come with an empty stomach. You’ll leave stuffed! Go to the aquarium! Baltimore has one of the most beautiful and unique aquariums in the country. As you move down the levels of the building, you’ll see interesting creatures that live in deeper ocean waters. It’s a great educational trip for you and yours, and the kids will love all there is to see. Stroll around the Inner Harbor! The Inner Harbor is one of the most vibrant and charming spots in the city. It’s full of spots to shop or grab a bite to eat, and it makes a great date night idea when the lights illuminate the harbor’s waters. See a show at Hippodrome Theatre! The Hippodrome’s beautifully restored interior makes it one of the best spots to see a live show. The atmosphere draws you into the performances on stage and there isn’t a bad seat in the house. 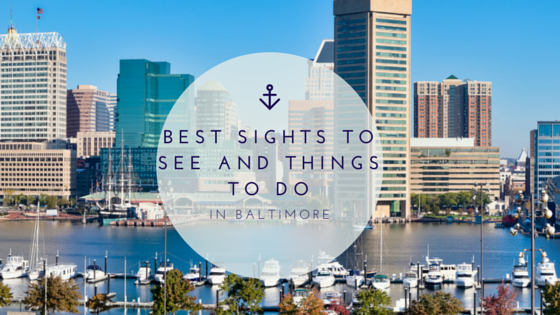 What are some of your favorite things to do in Baltimore? Share them with us, and we’ll see you in July! In between all the networking and course instruction, you’ll need to find some time to relax and enjoy Las Vegas a little! The city is much more than just casinos and great food, so we want to share some must-see Las Vegas attractions you should be sure to visit while you’re in town. 1. You won’t get a more breathtaking view of the city than on the High Roller Ferris Wheel. The tallest observation wheel in the world, the High Roller is a great place to take your sweetheart for an unforgettable view and a romantic ride. 2. 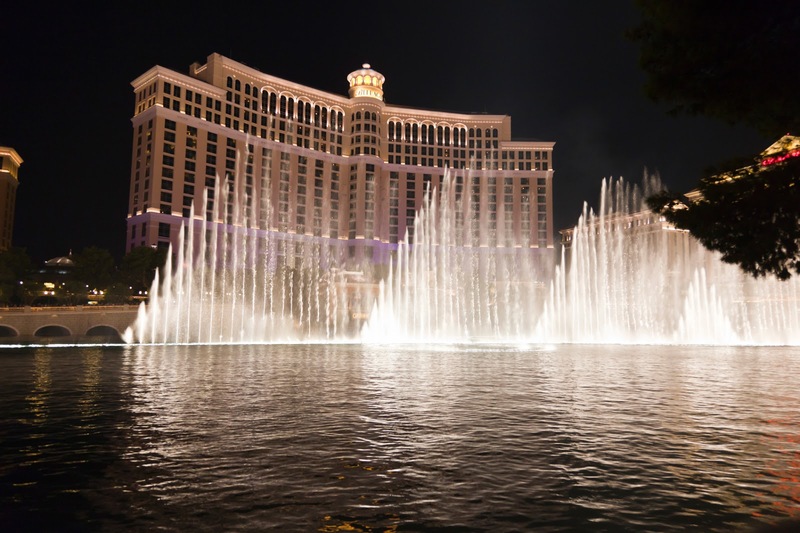 The Bellagio Fountains are some of the most eye-catching and extravagant fountains you’ll ever see. 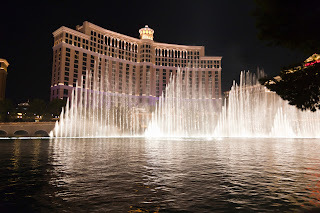 Every half hour from 3-8PM and then every 15 minutes after until midnight, the fountains shoot water up to 460 feet in the air from over 1,200 separate streams, and the streams of water are perfectly choreographed to classic show tunes. You have to stop and admire it at least once while you’re in town! 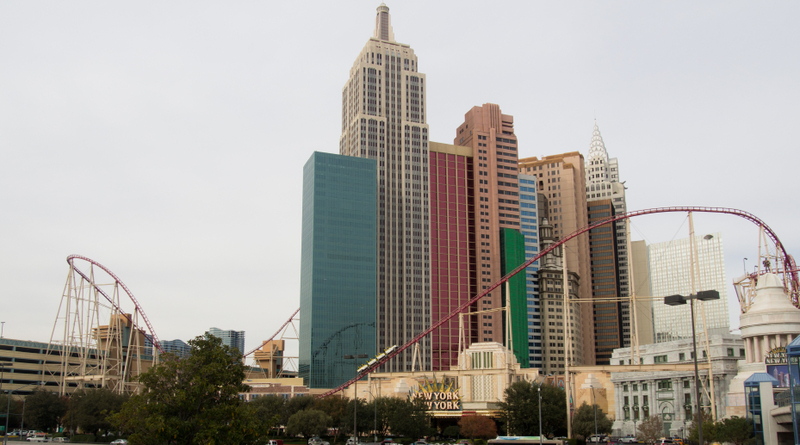 They are just across the street from the Planet Hollywood Resort and Casino, our conference location. 3. Head over to the Atomic Testing Museum for a one-of-a-kind museum experience. The exhibits highlight Nevada’s history as America’s nuclear guinea pig. Learn more about the culture surrounding atomic testing and nuclear research of decades past, as well as the always thought-provoking discussion on extraterrestrials! The museum features over 12,000 unique artifacts for you and friends or family to explore. Enjoy group tours or audio tours to move at your own pace. 4. Keeping in the museum vein, the Mob Museum is a must-see. Las Vegas’ early days were heavily influenced by mob activity, making it a checkered but truly unique and fascinating chapter of the city’s history. Learn more about famous mobsters who had a hand in goings-on around the city, explore exhibits that share the history of mob business and corruption, and learn more about the federal agents who brought down the biggest names in the mafia. Group and private events are available. 5. One more museum! The Neon Museum (pictured at top) is an amazing way to experience a piece of history that is truly unique to Las Vegas. An outdoor walkthrough, the museum boasts dozens and dozens of vintage neon signage from old Las Vegas hotels and casinos. Learn more about how Las Vegas became Las Vegas with this fun and vibrant collection of relics. 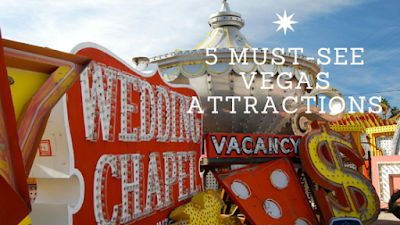 What do you think are some of the best attractions in Las Vegas? Do you plan to visit any others we didn’t highlight while you’re in town for our CME conference later this month? Let us know in the comments below! Although Las Vegas may be best known as an adult playground, there are quite a few attractions here that are perfect for a family. These include a 4,777-foot roller coaster, the world’s tallest Ferris wheel, a fascinating Titanic exhibit, an aquarium full of sharks, a place to play historic pinball machines and one of the country’s most picturesque drives. This roller coaster takes riders on a memorable ride that includes drops of up to 144 feet and speeds up to 67 mph. After you step into cars that have the look of New York City taxis, you will zip past detailed replicas of the Statue of Liberty and other New York structures and enjoy some spectacular views of the Strip’s southern end. The ride includes a pair of inversions and a number of towering drops. Note that the Family Fun Flight for Four provides a substantial discount over paying for four individual rides. For those looking for a more relaxed ride, consider heading to the High Roller, which opened at the end of the Linq’s dining, entertainment and shopping promenade in 2014. This 550-foot tall Ferris wheel is the world’s tallest, and it provides some pretty incredible views of the Strip and the rest of the Las Vegas Valley on its 30-minute journey. The cabins accommodate up to 40 people, and there is room for riders to sit as well as stand and walk around. Children 13-17 years old enjoy a substantial discount on tickets while those under 12 ride free. This fascinating exhibit features 25,000 square feet of artifacts retrieved from the Titanic and a fascinating, detailed recreation of the Grand Staircase. Some of the more interesting relics located here include pieces of luggage and an unopened bottle of champagne, which dates to 1900. However, perhaps the most fascinating artifact is The Big Piece, a 26-foot long section of the ship’s hull, which weighs 15 tons; it is the largest artifact ever pulled up from the ship, which rests on the bottom of the Atlantic Ocean about 350 miles southeast of Newfoundland. However, what will likely resonate with you most are the stories of those who took this majestic ship on its fateful journey. Perhaps this attraction’s most interesting features are its glass-enclosed tunnels, which place you within feet of many of the world’s most interesting forms of sea life. Its waters are filled with sharks, jellyfish, piranha, rays, sawfish and sea turtles. In fact, more than 2,000 animals are swimming around its nearly 2 million gallons of water. The aquarium also offers an opportunity to feed sea turtles, sharks or stingrays for an additional fee. This is a great place for children and those who are children at heart to play some of its hundreds of pinball machines, which date from the 1950s. Some of the more recent ones are based on films such as “Avatar” and “Iron Man.” Conversely, many who make the trip here are unable to resist its classic video games such as Centipede, Donkey Kong, Ms. Pac-Man and Super Mario Bros. There is no fee to enter this attraction, and the machines cost 25 cents and up to play. One of the highlights of this recreation area is its 13-mile scenic drive, which takes drivers through beautiful desert landscapes and within sight of incredible limestone cliffs and picturesque rock formations. The road is also popular amongst runners and bicyclists while several beautiful trails are accessible from it. The Red Rock Canyon National Conservation Area lies about 30 minutes west of the Strip. 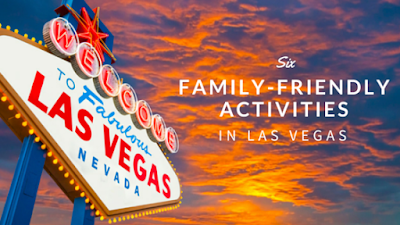 Where do you plan to take your family when you’re in Las Vegas for our CME conference later this month? Let us know in the comments below!